This is the Chart Window. Most of your work while planning a trip or while navigating your vessel is done within the Chart Window. 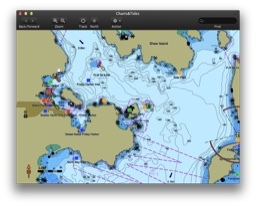 The Chart Window allows you to reposition the chart, track your vessel’s position, add and edit waypoints and routes and more. You can view information about the features at a particular position on the chart by clicking the chart on that position. 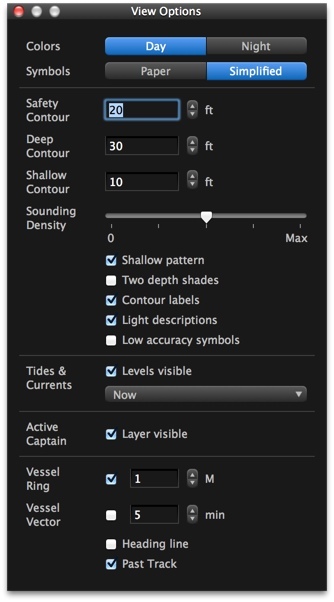 Charts&Tides will display a popover with a list of features in the immediate vicinity of the clicked position. 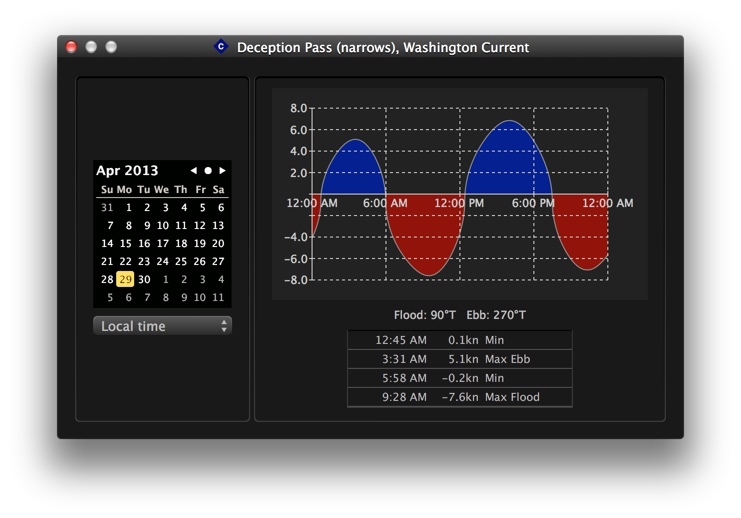 Charts&Tides makes it easy to find features by name. 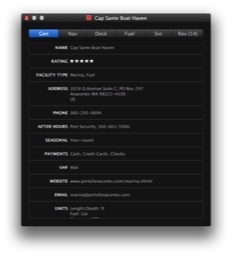 Simply click on the Find text control, which is normally located at the right side of the toolbar. Begin typing the desired name and once you have typed in at least two characters Charts&Tides will present you with a list of features with matching names. 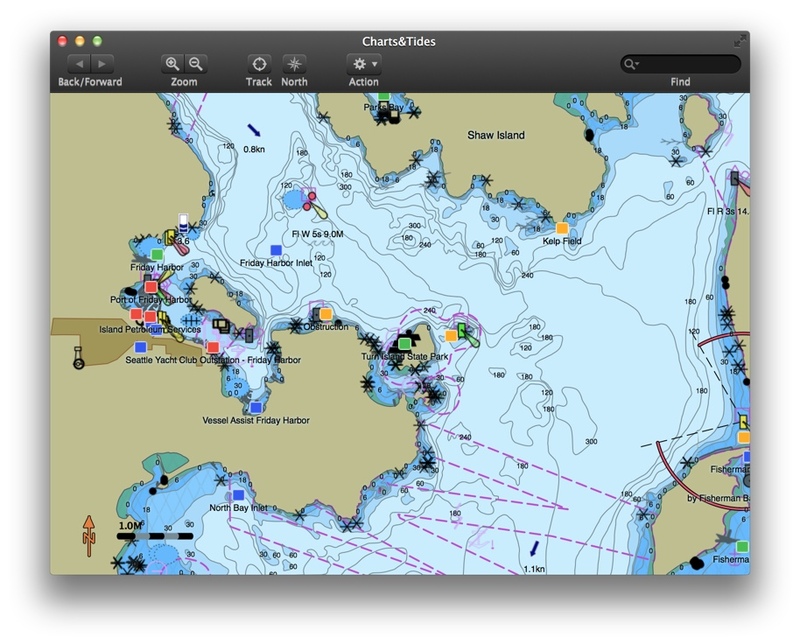 Charts&Tides allows you to customize your view of the chart so that it is relevant to the task at hand. 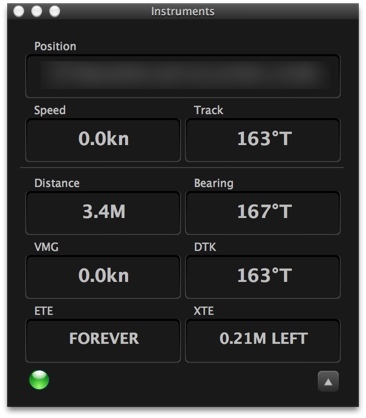 There are a variety of customization options that control chart colors and symbols, safety contours, tide and current information, vessel information, etc. Tide levels and current speeds can be visible on the chart, so that you can judge the water situation around you with a glance. 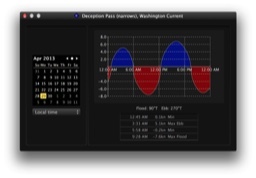 Or they can be plotted for a specific date as is done here. 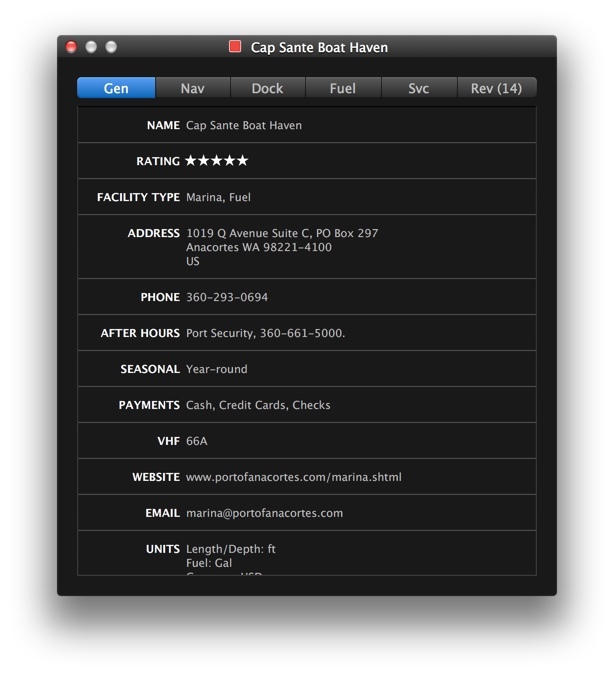 ActiveCaptain is the interactive cruising guidebook that can be found on the web at activecaptain.com. 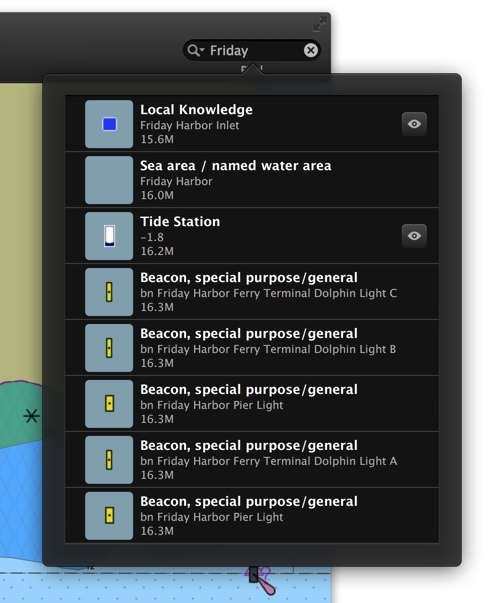 ActiveCaptain provides a wealth of information about thousands of marinas, anchorages, hazards and other local knowledge that is typically not available on charts. 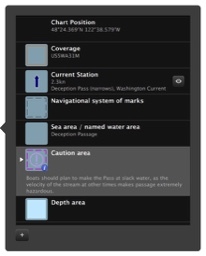 Here Charts&Tides displays ActiveCaptain information about a marina. 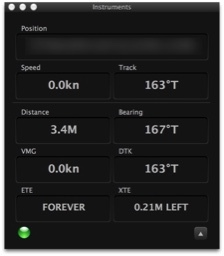 The Instrument Panel presents information about your vessel’s current position, speed and track/course. The panel can also be extended to present information about the next waypoint in the currently activated route.